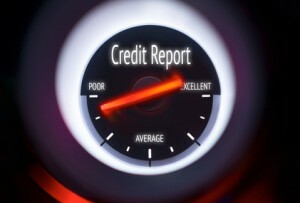 Check Your Credit Score If It's Lower Than You Expected! Have you ever checked your credit score or been rejected for a loan – and found out your credit score was lower than you expected? This happens a lot. In fact, one in five consumers had errors on at least one of their credit reports according to a study the Federal Trade Commission did in 2013. Some errors weren’t that big a deal, but others made a huge difference in the person’s credit score. Here’s what you should do to check for errors. Get a copy of each of your three credit reports – Experian, Equifax, and Transunion. You can access a free one each year by going to annualcreditreport.com. Identity errors, incorrect account details, and fraudulent accounts top the list of credit report inaccuracies. Identity errors include things like getting an old address wrong, which doesn’t affect your credit score, but it could lead to someone with a similar name having an account that ends up on your report. This can be positive or negative depending on the standing of the account. If you find anything like this, make sure you dispute it immediately. Errors in account details can be the fault of the creditor or the credit bureau. Sometimes they are reported wrong and others they are entered incorrectly by the credit-reporting agency. You should look for accuracy in credit limits, loan origination dates, and whether or nor the account is closed (paid off) or open (still active). You can also cross reference your payment records with the credit report if you see any surprising late payments. There is always a chance something was entered incorrectly. Also, if you have negative accounts they should “fall off” your report seven years from the time of the late payment or when they went to collection status (10 years if you filed bankruptcy). If you find the items are still on your report, you remove them by showing proof of the error. Fraudulent accounts cause the most problems. This happens when someone uses your identity – name, Social Security number and other personal information to apply for and receive credit. This could be a loan or credit card, but usually occurs with credit cards. If you notice this error, act quickly as it can have a damaging impact on your credit score – and your financial situation. It also indicates that someone has your personal information and can use it in other financially harmful ways. Start by putting a security freeze on your credit reports. This stops any new credit account from being opened. When the credit application is processed the creditor will see that there is suspicious activity going on. Keep in mind; you cannot open new credit lines either while the freeze is on. Once you get the situation straightened out, you can take the freeze off and sign up for a credit monitoring service. The service alerts you immediately of any changes to your credit report. In extreme cases, you may have to get a new Social Security number. If you discover an error on your credit report, dispute it with the credit bureaus first. Then, follow up with the information providers. You can usually do this online or by sending a letter. Send a copy of the report with the error and your supporting documentation. Also, write a letter clearly describing the issue, but try and keep it short and to-the-point. The credit bureaus have 30 days to investigate and report back to you. Sometimes, you will need to provide extra documentation or other forms of proof if the credit resists your dispute. This can take another 30 days or more. If your bank or creditor is reporting inaccurate information, you may want to approach them first. You should definitely do this in the case of account fraud or unauthorized charges on your report. Make sure you keep records of your contact with the company’s representatives. Also, ask for any commitments to correct the situation in writing. In addition, try and get a timeframe on when these corrections will get reported to the credit-reporting agencies. When you think about it, one in five people is a lot. So chances are high you’ll have to file a credit report dispute at some point. Now is the time to get in the habit of reviewing your reports every six months and before big purchases, like buying a home or car.